One of the best things about fertility smoothies is that you can really blend almost anything into a smoothie. It is the simplest, fastest, and easiest way to eat healthy. It also requires little cleanup. Yay for smoothies! Today’s delicious smoothie is inspired by the Andes mountains and is going to be a new and adventurous meal for you. It can be eaten for breakfast, lunch or dinner. I only have piece of advice, don’t judge a smoothie by its color 🙂 . -Put all ingredients into a blender add water, blend. Add more water until desired consistency manifests. Make sure quinoa is not hot. Refrigerated quinoa is best for smoothies. The Andes Mountains stretch over 5500 miles from the southern tip of Argentina and Chile to the northern part of Columbia in South America. Both Maca and Quinoa are from this beautiful mountain range. Quinoa is a super seed which is prepared like a grain. It is an amino acid-rich (protein) seed that has a fluffy, creamy, slightly crunchy texture and a somewhat nutty flavor when cooked. Quinoa is available in white or red (I love the red because of how pretty it looks when cooked) at your local health food stores. It can also be purchased online. Quinoa is rich in protein, manganese, magnesium (listen up migraine suffers), and iron. It also contains all 9 essential amino acids. In this smoothie we are incorporating some of the healthiest foods you can eat in an easy liquid form. 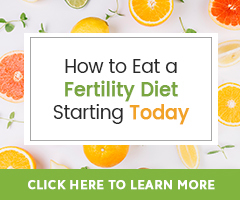 Eating a diet rich in whole foods is very important for fertility. Your body uses what you eat to build itself. So you want to make sure you are eating the best food you can. Hemp seeds are also one of my favorite health foods as they are jam packed with nutrients, proteins, and essential fatty acids. They mix easily and quickly, and don’t have a strong flavor. And of course we have Maca powder in the smoothie as this is a fertility staple and a super healthy addition to anyone’s life. 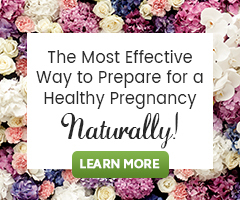 Question of the day: How are your energy levels since you have been in the Fertility Smoothie Challenge? I love these smoothies! I think I have more energy drinking these than sitting down to a regular breakfast and trying to make sure that I have the major nutrition in each category for that meal. I am thinking of just continuing on with the smoothies since I feel this good and am only half way through the challenge. Great! They are so easy to make and drink on the go. I have a smoothie for breakfast everyday.